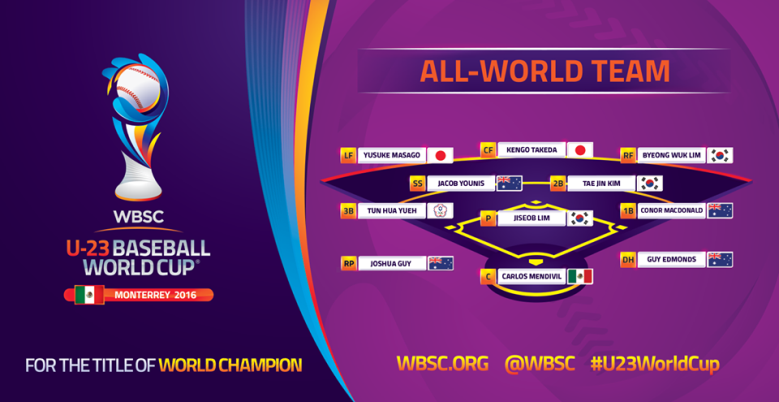 （November 6, 2016） –　Japan came into the WBSC U-23 Baseball World Cup as the top ranked baseball playing nation in the world and proved why, closing with a commanding 10-3 win over Australia to win the inaugural world title in the U-23 category. 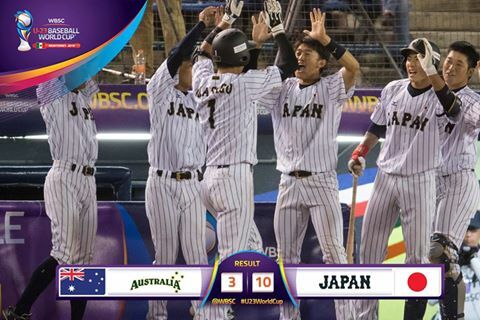 Trailing 3-0 in the 4th inning, Japan capitalized on a pair of Australia errors to move out in front 4-3. U-23 World Cup MVP Yusuke Masago (Softbank Hawks) hit his tournament leading fourth home run, while Taishi Hirooka (Yakult Swallows) added a 3-run shot as Japan exploded for five runs in the 6th inning to take a 9-3 lead. Kyosuke Ono pitched two scoreless innings in relief to get the win after Japan starter Taiga Kashahara was touched up for three runs including a solo home run from Zachary Shepherd (Detroit Tigers organization) as Australia built an early 3-0 lead. Keisuke Honda took over for Kashahara to start the 6th and threw two perfect innings with five strikeouts. Australia starter Nicholas Veale kept Japan off the scoreboard through three innings but took the loss after allowing six runs, four earned, over 5.2 innings of work. 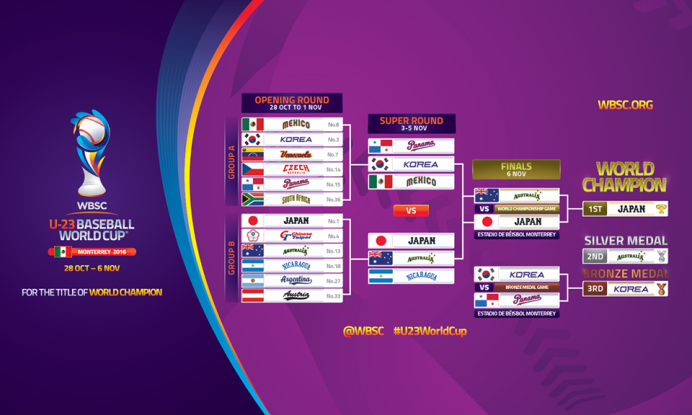 Japan suffered just one loss in the 12-nation world championship tournament, a 3-2 setback to Panama in the Super Round. Japan won eight games and outscored their opponents 75-17. 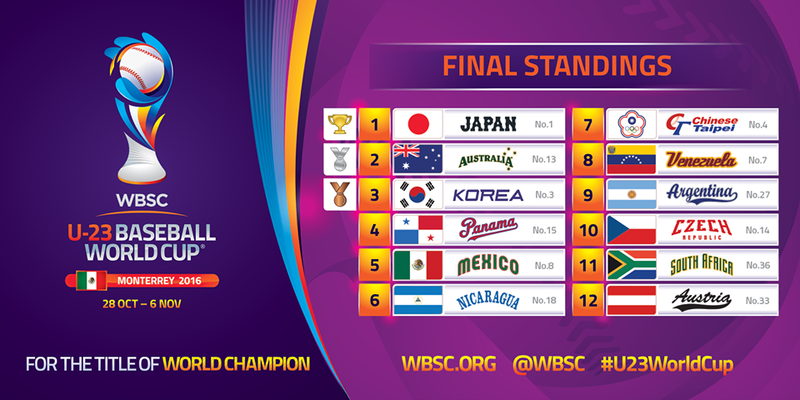 The world title in Monterrey follows Japan’s Women’s National Team winning the WBSC Women’s Baseball World Cup in September.